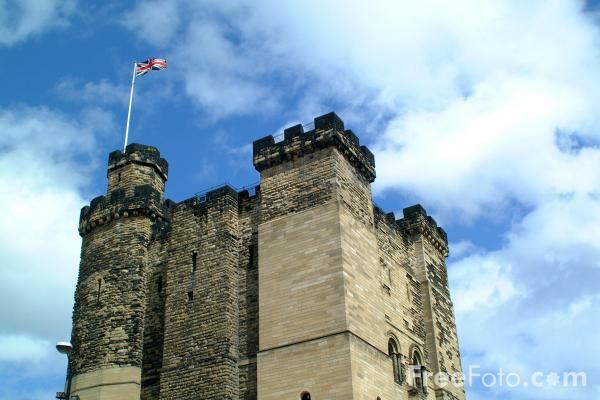 Photographs of The Castle Keep in Newcastle upon Tyne. The Romans built the first fort and made it part of Hadrians wall. Next the Normans built a castle in the same location and it was referred to as New Castle. The present stone keep was built by Henry II between 1168 and 1178. Today, the Castle Keep is one of the finest examples of Norman military architecture in England. VIEW: More images from the category The Castle Keep, Newcastle upon Tyne or taken at the same location or around the same time .